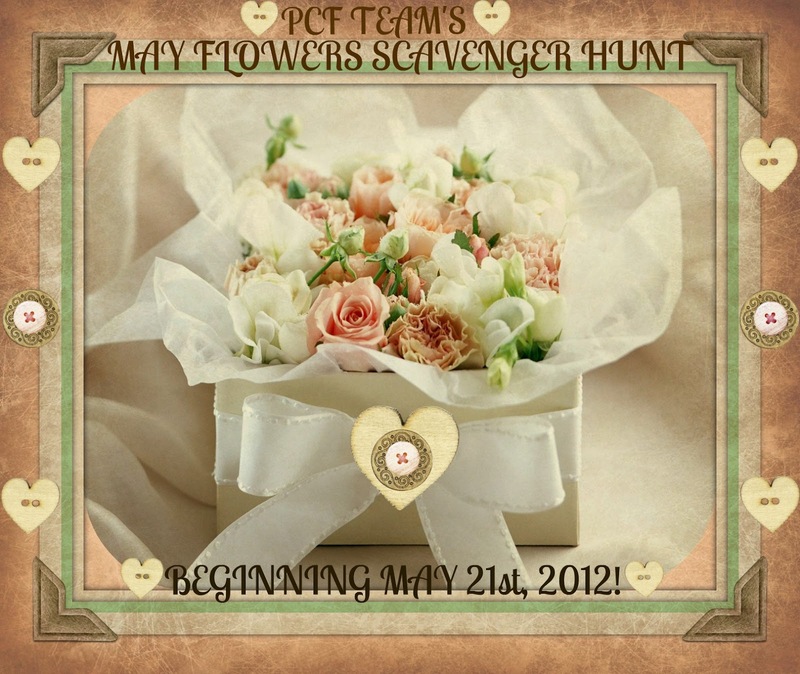 PCF Team on Etsy is having a great event for May! 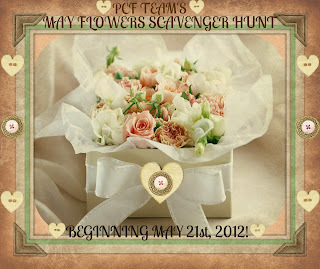 It is called the May Flowers Scavenger Hunt! This hunt will run exactly the way the April Flip Flop hunt was ran; so if you joined in on all the fun of that one, you are one step ahead of the competition….woohoo! 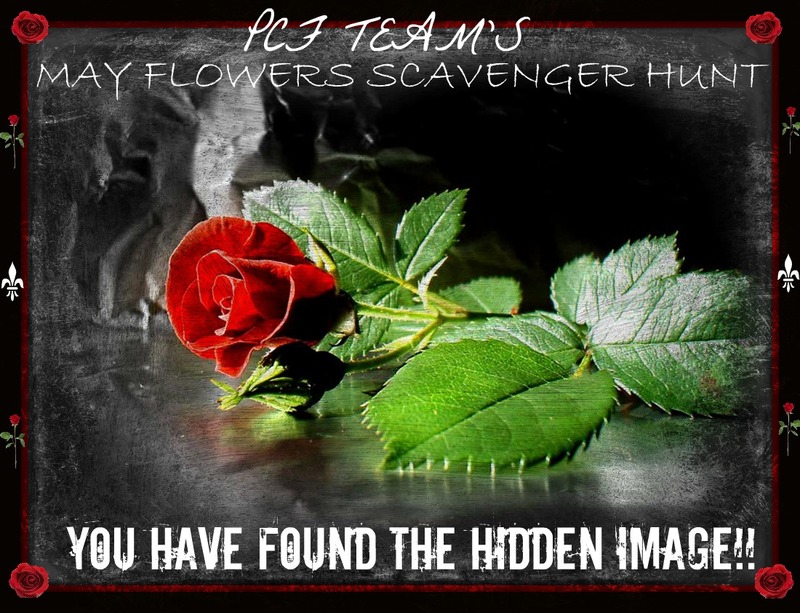 There will be 33 shops, and all will have a hidden picture that you will have to "hunt" through their shop items for! 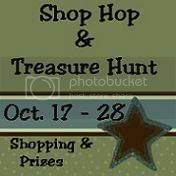 Each shop has donated a prize worth at least a $10 value; that is a total of $330 plus in prizes...woohoo!!! There will be a total of 7 prize packs given out (winners will be chosen at random by random.org, based upon number of entries correct and complete entries we have)...each prize pack will consist of 5 prizes...so each winner will get a prize pack of at least an incredible $50 value…how about that? The contest will begin at 9:00 EST on May 21st, and will run until midnight on June 4th! If you "FAVE" the shops as you go through (you have to fave every single shop...this means having an Etsy account, and adding each one of the 40 shops to your "favorite shops" list…simply click on the tab to the left that says ♥add to favorites), then you get another entry. In addition, all shops are donating another prize...all 33 of these prizes will be combined into one HUGE prize pack. This pack will be valued at a minimum of $330!!! The winner of this super duper prize pack, will be the drawn out of entries from shopping with PCF Team shops during this event. Each dollar spent at a PCF Team shop during this event will earn you one entry...each dollar spent at one of the 33 shops on the hunt list, will earn you 2 entries. The more you shop, and the more you shop with the 33 shops on the list, the more chances you have to win! Please send transaction links of all purchases to Nichole at kidd.robin@ymail.com...thanks! Purchases not submitted will not be counted! I cannot calculate your entries, if you do not send me purchases...I need transaction links and dollar amounts for each purchase, and the shop name you purchased from. The rose image below, is the image you will need to look for in the listings!! !